023. JAMES CAIRD. 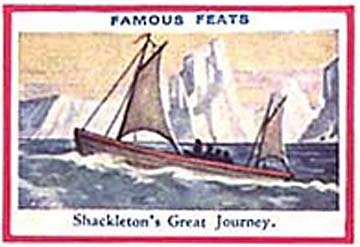 An unidentified card entitled "Shackleton's Great Journey." in a series entitled "Famous Feats". Size: ? Recto: Artist's color rendition of James Caird under sail with ice mountains in the background.